Finding a great kitchen maker is not as easy as it may seem. Whether you’re building a new home or simply renovating an existing kitchen, you want the job to be done perfectly. 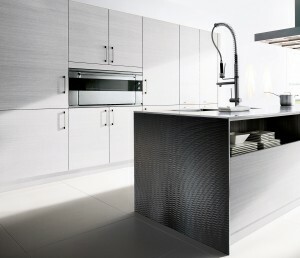 And all the kitchen makers are different – in creativity, vision, product quality, workmanship, or professionalism. So finding the one can be a challenge. The key to a premium kitchen of beauty and style is a clever combination of functional layout, appealing design, and the savvy use of versatile building products of the highest quality. However none of these will come together if your kitchen maker is not great. A substandard kitchen maker won’t provide you with information on your many options; they won’t educate you about the differences between available surfaces; they won’t provide a warranty or they may even fail to install the kitchen properly. A great kitchen maker will offer professional and friendly support and education to help you make the right choices to create the kitchen of your dreams. They will collaborate with you while working within your budget. Consider More than One Option. Review no fewer than three kitchen makers so that you have a broad idea of what is available and what costs are reasonable. Compare between those that appeal to you. Do some online research so that you have an idea what you want before you talk to suppliers. Look at their Reputation. Look at testimonials from other customers. A company with a great reputation will provide the best array of products and also superior customer service. Their credentials will be displayed and they will welcome questions. Their quality will speak for itself. Explore their Operations. Does the company manufacture their own kitchens? Are they postforming? What brands they work with? Do their products represent value for money? And don’t forget to ask about their qualifications and look at their portfolio. Analyse their Style. Does it complement the vision you have for the end result of your kitchen? Can they deliver exactly what you want? Can they do it for you on time and within your budget? Are they knowledgeable and helpful? A great kitchen supplier will be willing to discuss various options and alternatives for bench tops, cabinets, splashbacks and walls. Ask what warranty they offer and if they can provide care and maintenance documents to you. Only proceed with them if you are comfortable with everything. Most importantly, don’t rush your decision! Your beautiful new kitchen will be with you for a long time. Take time to make sure you are delighted with the product, the supplier, and the price – only then will you be delighted with the end result.